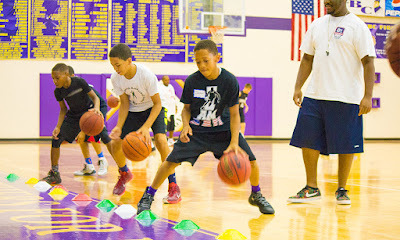 If you love basketball, you are surely going to be looking for ways to improve your game. Yes, no one was born perfect; if you take a look at some of the best basketball players out there you would notice that they have all strived really hard to reach the levels of success that they have currently achieved. To achieve success on the basketball court, continuously workouts are very imperative, as they can help players improve their strength and speed during the game. Being able to run, jump and turn around quickly are some handy skills to have a good player. Additionally, having an enough energy to help you last longer in the field is extremely important. 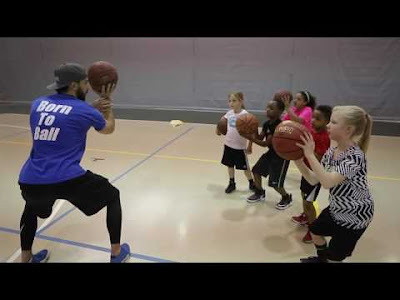 Joining a professional basketball coach is definitely the best bet for players, at Larry Hughes Basketball Academy our main mission is to enhance the gaming skills and developing the leadership quality. When it comes to basketball you need to be quick on your feet and also have amazing reflexes. Well, you can't improve your reflexes in a day or two it takes weeks and months of training to do so. If you're looking forward to improving your speed you should go ahead and practice dribbling the ball as quickly as you can. You could also use a jump rope to help you increase the movement of your feet. No matter what you want to improve on, if you want to get really good at it, you would need to make sure that you practice each and every day. However, you need to practice smart and not hard. Become perfect in the skills that you're already good at before you try to pick up on various other skills. If you're good at dribbling, get better at it! Basketball isn't a game of strength, but a tactic. Therefore, dribbling is really important and you would need to move quickly. If you're not good at dribbling you could end up missing a lot of perfect scoring opportunities and perhaps that could lead to the loss of the game as well. One of the biggest problems that people face is the lack of confidence. Remember, confidence is good; but, over-confidence can kill you. Believe in yourself and your skill and you would be able to perform at your best. You've got it in you and all you need to do is bring it out and express it in court. Once you have obtained a steady rhythm and full control over the ball, you should start practicing moving the ball on the court. And this can only be possible by participating in all the basketball skills and drill programs.